Whether you are a small business owner, are in the research department of a multinational corporation, or work for a research agency, I can help you strategise your research plan. Contact me for a comprehensive market and consumer research solution. 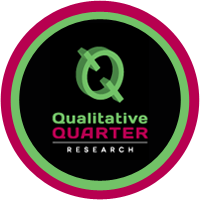 If you’d like to understand consumer behaviour and buying patterns, gather qualitative data on consumer sentiment about products and services, you should get in touch with a research company. Entrepreneurs should contact researchers to help them do market research before launching products or services. Multi-nationals should hire a research agency to understand consumers in overseas markets. Non-governmental organisations should get in touch with research agencies to help them better understand the communities they are working in. In short, I recommend that research should be the first step in planning a long-term business strategy. If you’d like to reach me directly, please fill in this form below to send me an email.